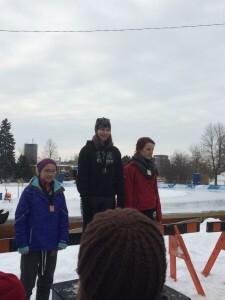 Congratulations to the SLSSC skaters who braved the weather this past weekend to participate in the Provincial Long Track Championships, in Ottawa. 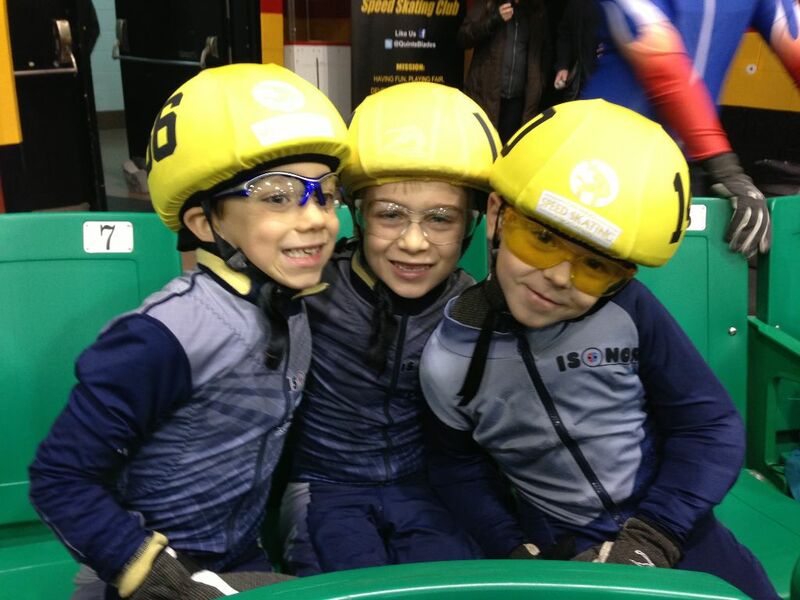 Personal Bests were set by all who skated, with several of our members reaching the podium for their specific age classes. Congrats to Aidan VanBeek for finishing 1st overall in the 12 years old boys category. Congrats to Chloe Segal for finishing 2nd in the 14 years old category girls. Congrats to Emma Grace Wheeler for finishing 3rd in the 13 year old girls category. Congrats to Connor Taugher for finishing 3rd in the Open Men (16-49) category. 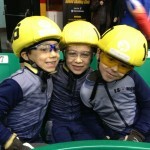 All 4 skaters will be representing Team Ontario at the Canadian Championship on Feb 7-8 in Saskatoon. Good Luck! 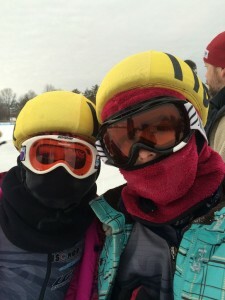 For more information, please refer to the Protocol from the weekend and the OSSA website. 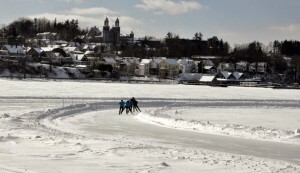 4 skaters participated on the weekend, at the Olympic Oval in Lake Placid, New York at the Charles Jertraw Long track speed skating competition, where they came away with 9 medals overall. 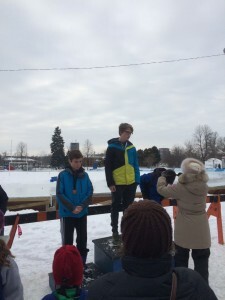 In the 14 and under category, Aidan VanBeek, 13, came away with a gold medal in the 500m, 1100 and 1800m and a silver medal in the 300m. 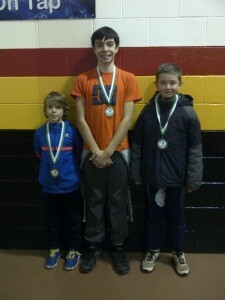 He was also awarded the top male skater in the 14 and under category. Emma Grace Wheeler, 13, came away with 3 medals: a Bronze in the 1100 and 1800m and a silver in the 300m. 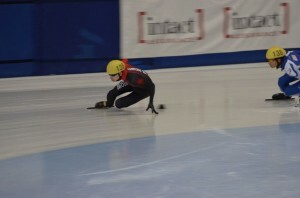 Chloe Segal, 14, who skated up a level in the 15 year old division came home with Bronze medals in the 500 and 1500m. 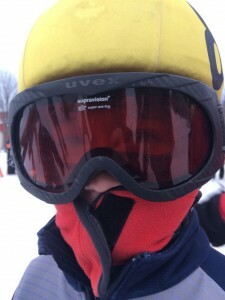 Julia Wheeler, 11, came away with personal best times in all of her races. For a full list of results, please refer to the official website. Congrats to all 4 skaters on representing the club! Congratulations to graduated SLSSC member, Alphonse Ouimette, for competing at the Canadian National Qualifier in Montreal, a few weeks back. 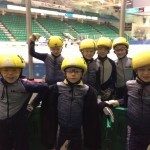 Alphonse had a very good weekend, finishing 7th overall, out of 52 skaters, just missing qualifying for Team Canada (top 6). For those interested, the complete protocol from the meet is available. 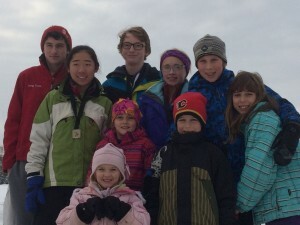 13 St. Lawrence Rapids Speed Skaters competed in the East Regional #3 Meet hosted by the Quinte Blades in Belleville, this past weekend. Three earned spots on the podium: Andrew Chartrand, 14 yrs, won gold in Alpha group (winning all five of his heats and finals), Cameron MacKay, 10 yrs, won silver in Golf group, and Ayrton Meier, 8 yrs, won bronze in Hotel group. Lots of PB’s were achieved by all skaters, and the PB’s page has been updated to reflect the new times. Congratulations to Grant Roney and Andon Gill for competing in their 1st meet! Well done boys. Congratulations to Julia Wheeler and Ayrton Meier for breaking the 1 minute mark in their 400m races! Can’t wait to taste those cupcakes!!! Please refer to the protocol for all the individual times. 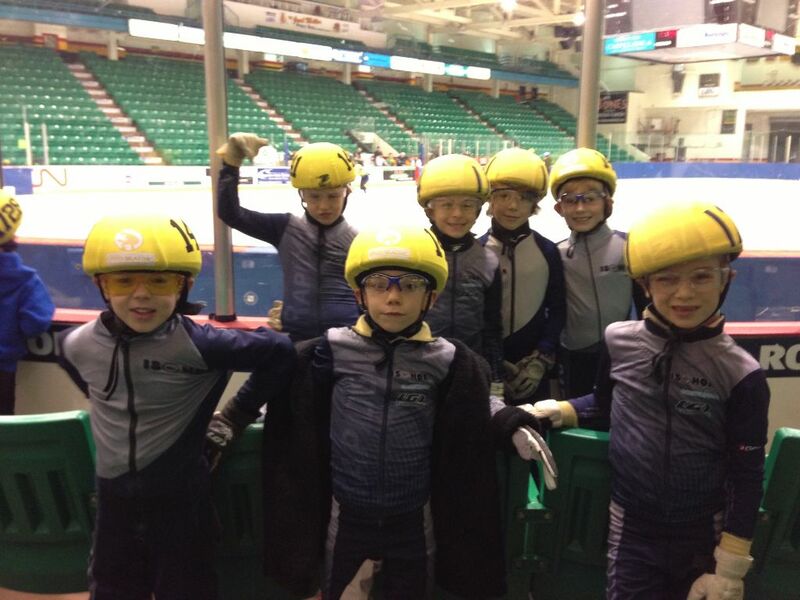 4 SLSSC skaters attended the Provincial Series Meet # 2 in Clarington a few weeks back, setting some new PB’s throughout the weekend. 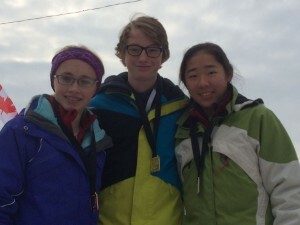 Congratulations to Alphonse Ouimette for finishing 1st overall in the Canada Winter Games Trial Meet. 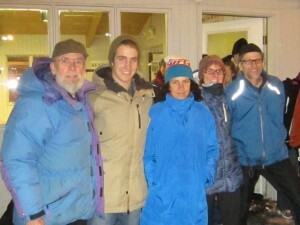 Good luck at the Winter Games! The full protocol can be viewed, to see his full results. 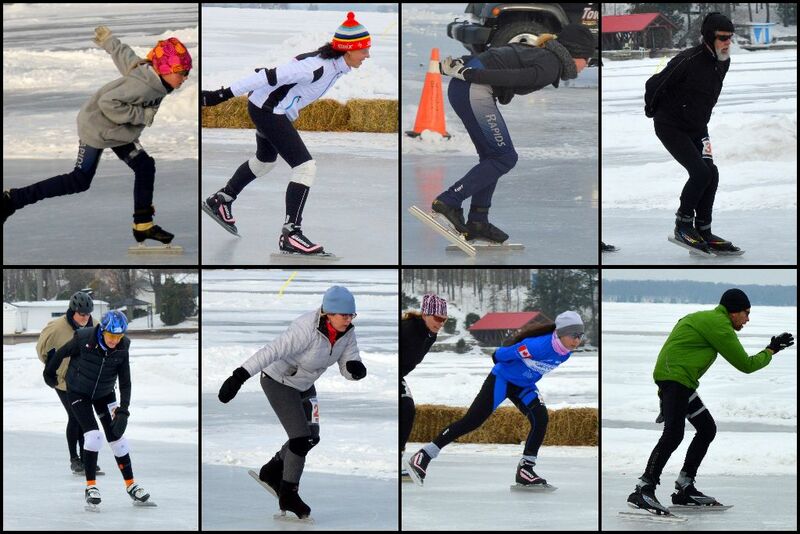 The full protocol can be viewed, to see all their race results.